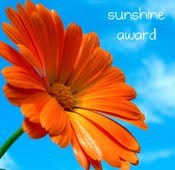 A big thanks to NoodleBubble http://noodlebubble.blogspot.com/2010/01/award-goes-to.html and Tracy at Cinnamon Jewellery http://www.blogger.com/profile/02436484670257361377 who’ve both given me a Sunshine blog award. I think I am meant to now find another 12 great blogs, which is very hard as there are so many good ones out there! You probably can’t go too far wrong by checking out all the Frit Happen Forum blogs http://fhfteam.blogspot.com/ which has way too many lovely glass from fantastic lampworkers to look at! I will try and find some time though soon to list my 12! This week I have been struggling (and failing) to be able to keep up with blogging, twittering, facebooking, foruming (that not a real word!) and all the other bits in the on-line world., and have been conspicuous by my absence. I’ve been way-laid by a rather heavy work load (non-glass sadly.) Even Saturday was a near write-off as I then suffered a stomach bug. Typical! However I did manage to get a few hours lampworking in, and tried out a new idea. I am not quite sure what is bubbling in my brain these days as I seem to have come up with possibly the cutest and most romantic – maybe even kitsch you may say – idea to date. More to come in a few days when I get them out of the kiln and photographed, I might even dare to tell you about the genesis of the idea which is anything but romantic! Wake up, it’s Friday! Oh no! It’s Monday!